SHANGHAI (Reuters) - China has ordered special teams to begin inspecting steel mills across the country to see how well they are complying with tough new pollution rules, its environment ministry said on Monday. 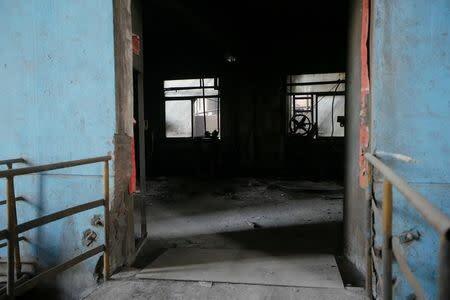 The Ministry of Environmental Protection said on its website (http://www.mep.gov.cn) that dedicated inspection teams would probe major steel enterprises to see if they are meeting emission standards and have installed the appropriate monitoring equipment. China's massive steel sector is regarded as a major source of air pollution, particularly in Hebei province, the country's largest producer of the metal and the location of seven of the country's 10 smoggiest cities last year. But Beijing has also been trying to make use of tougher pollution rules to help shut down aging mills and tackle a capacity glut now estimated at 300 million tonnes a year. 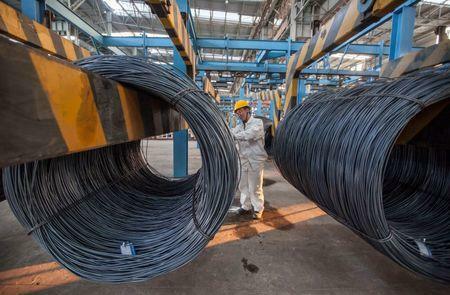 China produced 804 million tonnes of steel last year, using about 70 percent of its total capacity and accounting for nearly half of global supply. China's environment ministry has urged departments across the nation to strengthen their surveillance of steel enterprises and to mete out heavier punishments for those that break the rules, Tian Weiyong, head of the ministry's inspection bureau, was quoted as saying in the website posting. Problems with enforcement have meant that environmental compliance costs have varied across China, allowing smaller, polluting plants to undercut larger and cleaner producers. Executives at leading steel mills have called on the government to create a level playing field that would stop polluting mills from selling steel on the cheap. 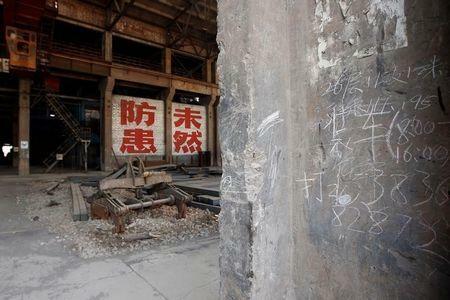 An earlier inspection of mills in Hebei province revealed that some steel producers had contravened state measures aimed at curbing overcapacity by building new plants and defying shutdown orders.